Brilliantly written, vividly depicted and instantly absorbing. A riveting murder mystery featuring a compelling detective with a crumbling lifestyle and a clever sidekick with a lot of heart. I was totally engrossed from beginning to end. A stellar achievement. How far will people go for greed and envy? How intricate a web is weaved to cover up lies, to deceive and to come out the victor? 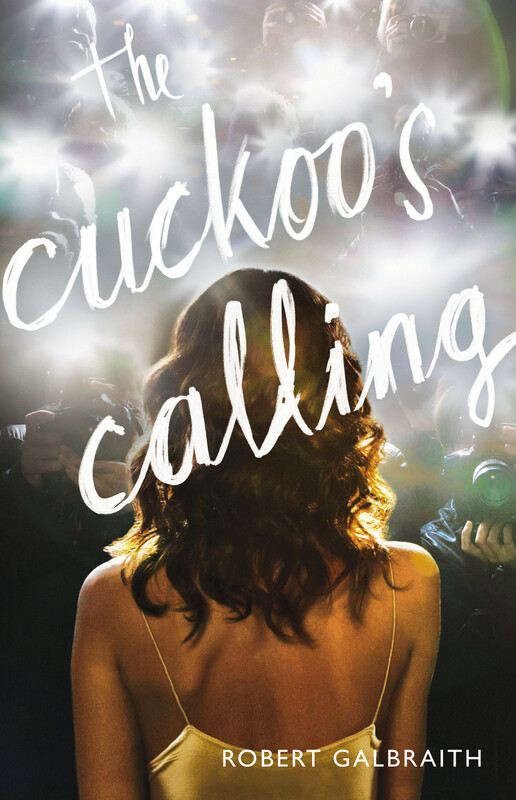 This riveting murder mystery by J.K. Rowling, writing under the pseudonym of Robert Galbraith, seeks to uncover whether the suicide of famous and flawed model Lula Landry (or Cuckoo, as a friend called her) was indeed that, or rather, a cleverly plotted murder daftly overlooked by authorities. I’d desired to read something different than the contemporary romance genre for awhile, and just recently, when I found my battered, overly worn copy of And Then They Were None by Agatha Christie, I determinedly set out to find a mystery novel to shake me out of my romantic reverie. Admittedly, when I discovered that J.K. Rowling, author of one of my all-time favorite series (Harry Potter) wrote a classic mystery novel, well I one-clicked and started reading. And wow… it’s an absolutely stellar, enrapturing read. I couldn’t help but seek out the tell-tale imprint of J.K. Rowling in the story and certainly there are some recognizable elements. First off, the story is masterfully structured, her writing precise and vivid, creating a rich and clear depiction of the world, people and circumstances. As with Harry Potter novels, the sensory precision of her words made me feel as if I were actually there, in the cold and shadowed streets of London. I could almost picture the shrouding mist and innately mysterious street in which Harry Potter grew up with the Weasleys. Our protagonist is a military veteran that has lost part of his leg, and is for all practicality an orphan having lost his mother and ignored by his famous father. In a very J.K. Rowling fashion, his name is unique and memorable (I loved researching the names she chose in the Harry Potter series)… Cormoran Strike. Strike, as he calls himself, has had a difficult life and is now barely making it as a private detective with the threat of surmounting debt and diminishing clients. When he receives an unexpected visit from the brother of his childhood best friend to investigate the suicide of his sister, Lula Landry, Strike gets on the case. Assisted by the clever and resourceful temporary assistant, Robin, they begin an investigation that immerses them in the glittering, well-monied circles of London and takes them through a barrage of awkward conversations and not-quite-right-aligned stories from Lula’s eccentric group of friends and family. J.K. Rowling weaves in some impactful social commentary as a means to enhance the story and enmesh us even deeper into the mystery. Lula was a beautiful model of mixed race, adopted by the wealthy and white Bristow family. She never felt like she quite fit in, despite the crushing over protectiveness of her mother, so she sought her biological parents to find a much-needed connection to her identity. Diagnosed with bipolar disorder and surrounded by other models, designers and drug users, everyone seemed to accept her death as a suicide. But as Strike continues his investigation, so much more is uncovered and I was completely entrenched in the story, attempting to piece together the clues in this classic “who done it” story. Every time I thought I had it all figured out, something would happen that had me doubting my rationale and in the end, my first guess was actually correct, but the journey took me on a series of twists and turns that had me biting my nails along the way, questioning everything and everyone. I thought the novel was brilliantly written, well-paced and highly addictive. I loved it and I devoured it and I highly recommend this book. To me, J.K. Rowling has further proven her versatility and genius as a writer and this book is yet another stellar accomplishment. I hope there are more adventures to come for Cormoran Strike! It’s a terrific read, gripping, original and funny.